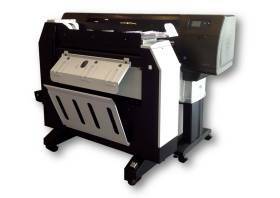 The Butterfly Extra series is a 36″ AO paper fold machine integrated to the HP Designjet T7200 and T 7100 printer. The Butterfly Extra wide format finisher introduces patent technology to enable the folder speed to be synchronized to the variable print speed and dry ink drops before the fold process; these are true strenghts versus other solutions where the folder might be tearing the copy or paste ink. The ease of use, limited footprint and the a complete integrated solution of printer, folder and RIP provide now the best solution available in the market to handle large print jobs and improve the efficiency of the press center. 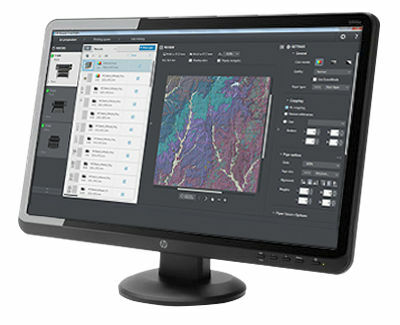 Fold programs are remotely selectable by printer user interface in order to fold any wide format document into final A4 or A package size, full automatic Wide Format solution able to print, scan and fold any documents with a simple click, no more paper waste and print on wrong media roll. High fold precision for long plots.up to 5m. 14 fan folding styles to enable folding any documento as standard ISO, ANSI, ARCH and Afnor or no standard. Automatic cross fold for documents printed on roll 36″ 914mm 24″ 610mm. Able to process portrait or landscape document orientation. Excellent post sale and service centers in Europe and North America. Extremely reliable with lowest Total Cost of Ownership. Simple to use, little space requirements and small costs make this paper folding machine the best solution to manage big print jobs and finishing wide format documents efficiently.